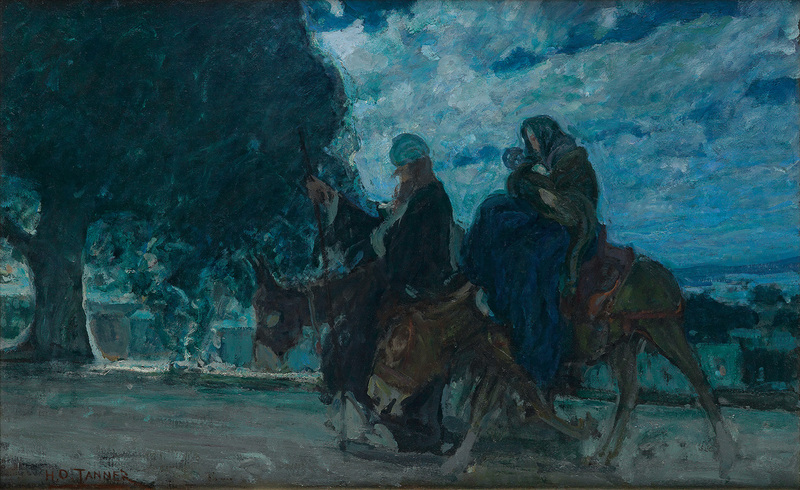 From the catalogue of our April 6 sale of African-American Fine Art. 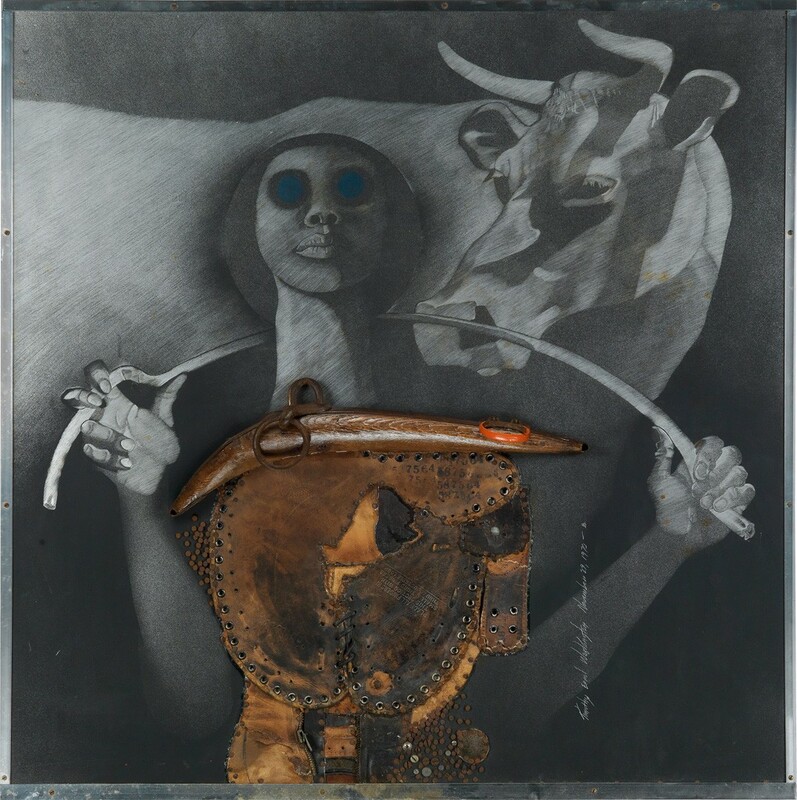 Lot 99: Timothy Washington, Raw Truth, engraving on aluminum with assemblage including cast iron, wood, nails, a zipper and a leather baseball mitt, with hand coloring, 1970. Estimate $15,000 to $25,000. Assemblage emerged as a dynamic new art form in Los Angeles in the late 1960s. 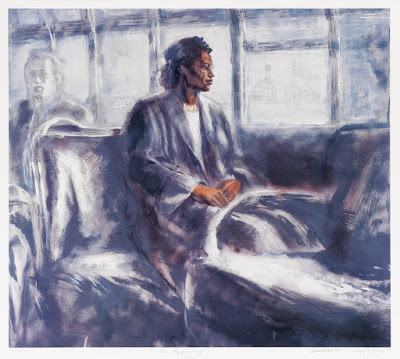 The aesthetic was developed by African-American artists including David Hammons, Daniel LaRue Johnson, John Outterbridge, Noah Purifoy, John T. Riddle, Jr., Betye Saar and Timothy Washington. 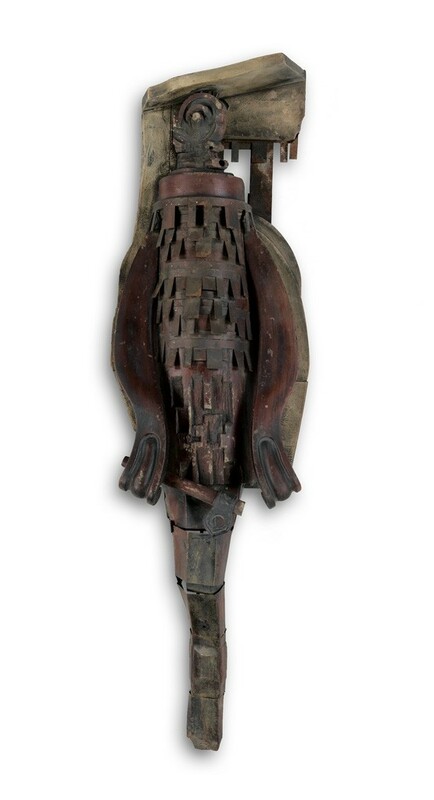 The transformative power of this art is more than the recycling of cast-off material: Assemblage provided African-American artists in Los Angeles an art form that bridged the gap between their formal training and an expression that was socially and politically engaging. 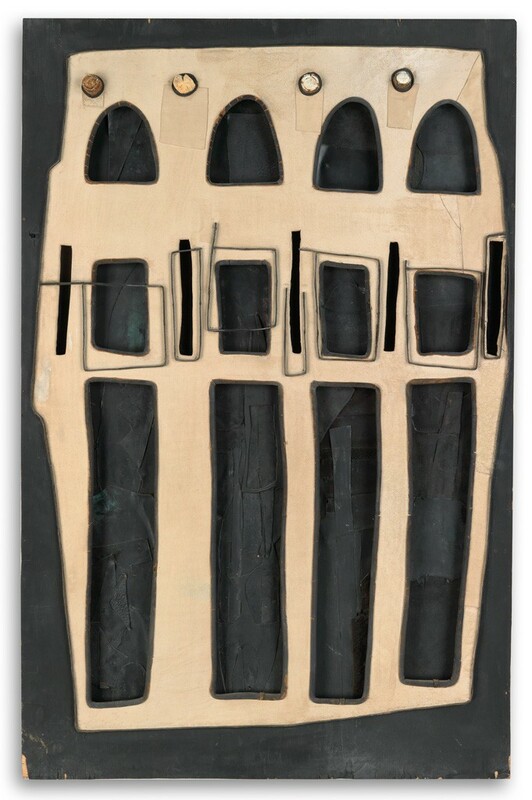 Lot 96: Noah Purifoy, Untitled (Wall Piece Assemblage), painted plywood, leather, suede and champagne corks, circa 1966-68. The Watts Rebellion in 1965 changed the lives and work of many artists in Los Angeles. The previous year, Noah Purifoy was hired to run the Watts Tower Art Center and its art education program. The Center had grown from the sculpture garden and the towers of assemblage by the eccentric Italian-American Simon Rodia, who began building them in the 1920s. 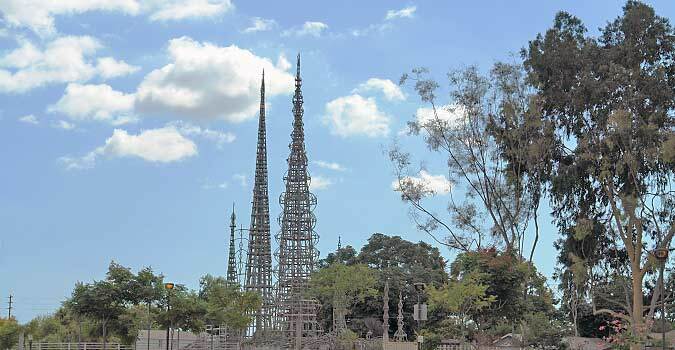 Courtesy Watts Towers Arts Center. Purifoy and Judson Powell developed a program that hired influential artists like John Outterbridge to be educators at the Center. Outterbridge also taught at the Compton Communicative Arts Academy where he became the director in 1970. 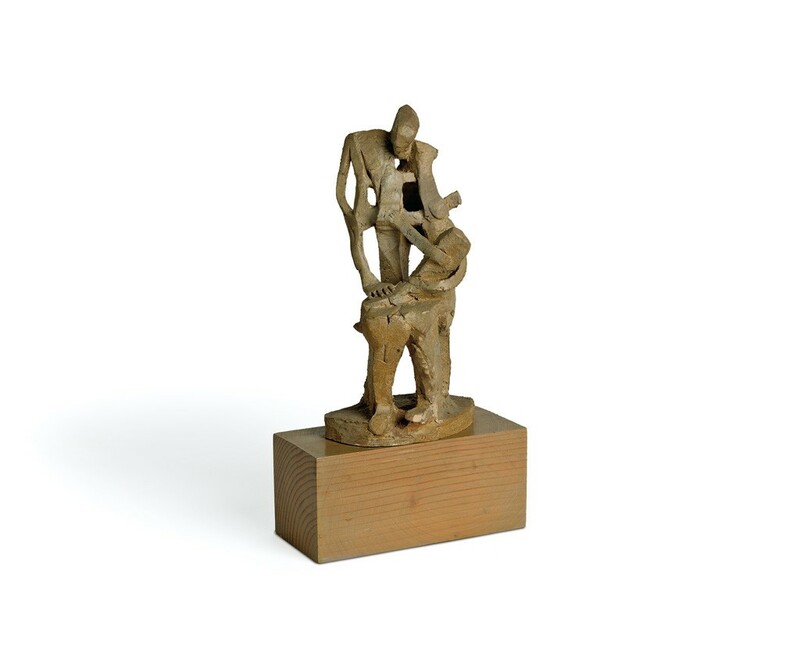 Lot 98: John Outterbridge, Barker, mixed media including wood, nails and metal, 1967. Estimate $20,000 to $30,000. Together, Powell and Purifoy organized Junk Art: 66 Signs of Neon, a seminal exhibition at the University of Southern California in 1966. They exhibited 66 art works made from found debris and junk – all detritus left in the wake of the Watts riots – alongside photographic documentation. Lot 84: John T. Riddle, Jr., Mother and Child, glazed fired clay mounted on a wood base, circa 1960-65. From the collection of Miriam Matthews. Estimate $3,000 to $5,000. Outterbridge and Purifoy’s embrace of this recycled debris as their artistic media influenced younger artists like John Riddle and Timothy Washington. In 1967, the artist brothers Dale and Alonzo Davis opened the Brockman Gallery in Leimert Park, providing a venue for many assemblage artists to first exhibit these works. African-American artists raised their social and political voices through assemblage, greatly contributing to the artistic culture developing in Los Angeles.